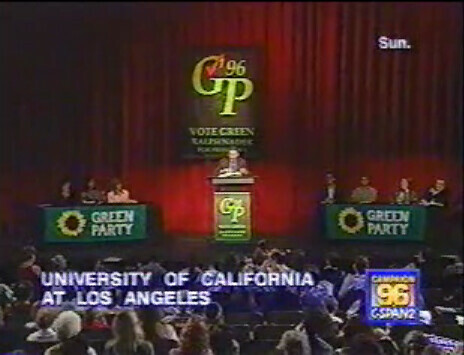 The Green Party has run presidential candidates in 1996, 2000, 2004, 2008 and 2012. This year these candidates are all seeking the GPUS Nomination. Official recognition as a candidate seeking the GPUS Presidential nomination. Two candidates have currently received GPUS recognition – Jill Stein and William Kreml. To become officially recognized as a candidate seeking the GPUS Presidential nomination for President, one must demonstrate a level of grassroots support within the Green Party and a level of legal and financial organization by satisfying these criteria, including gaining signatures of support from at least 100 Green Party members on this signature form.